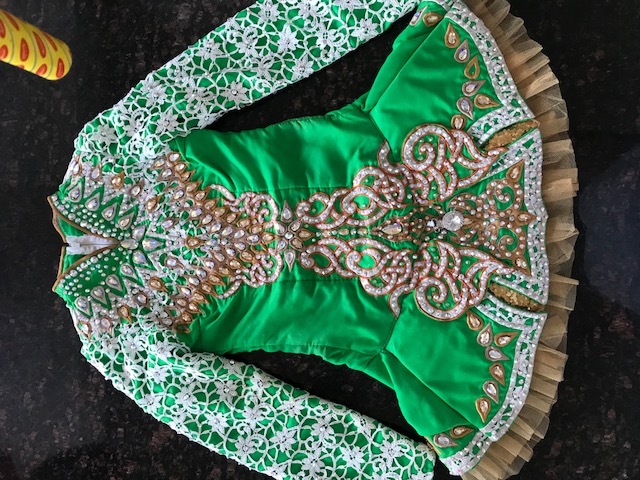 Stunning bright green white and gold Doire Designs by Shauna Sheils costume, worn by u14 dancer. Beautiful stage presence due to 100’s of Swarovski crystals all over body and arms. 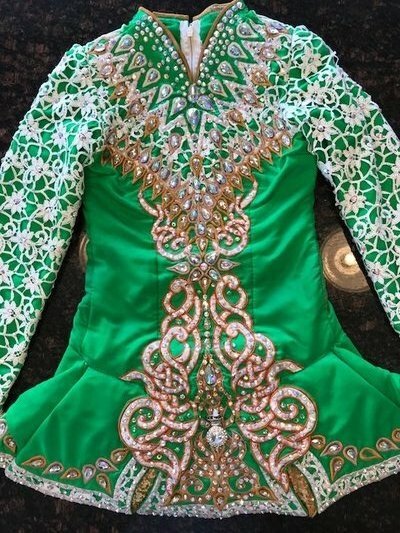 Comes with kick pants, tiara and detachable net if longer length required. Open to offers around £500. 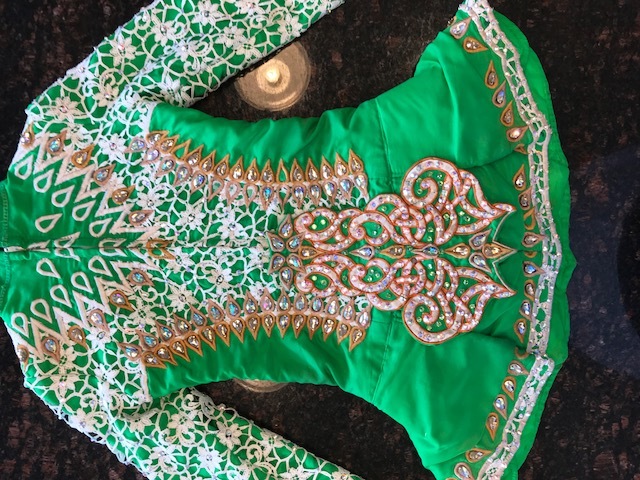 Please PM if interested.